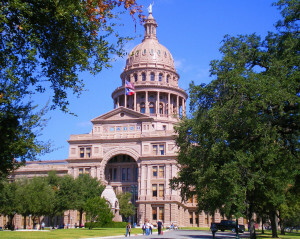 A bill that would make it more difficult for property owners to sue insurers for unpaid claims and limit the amount they can collect has passed the Texas Senate, and collision repairers should be concerned with the implications should it pass and later be extended to auto insurance. Senate Bill 1628 was inspired by a boom in property damage lawsuits over insurance claims following hailstorms in Texas, and collision repairers having their own battles with comprehensive insurers over hail might be able to relate to homeowner’s frustrations. The rationale for supporters was similar to a Florida bill that would have blocked homeowners from assigning benefits — “ambulance-chasing” contractors and attorneys were swooping in after water damage incidents and inflating claims, according to media reports there. But opponents said a bill that would also affect legitimately wronged policyholders wasn’t the answer, the newspaper said. A companion version, House Bill 3646, was heard but left pending in the House Insurance committee April 22 and apparently not acted upon at the April 29 meeting. What will happen next is unclear. A staffer for the committee said Friday that pending bills like that can be brought up at any committee meeting at the chairman’s discretion, without the public notice a bill needs the first time. Typically, House bills less advanced in the legislative process will be altered to resemble the Senate’s version in situations like this where the other body has already debated and passed it, the staffer said. Republican state Sens. Larry Taylor, who owns Truman Taylor Insurance Agency, co-wrote SB 1628 along with Van Taylor, director of Churchill Capital (it’s unclear if there’s any relation), and the bill has been attacked for being blatantly pro-insurer. Only the unpaid amount of the claim collects 18 percent interest now, and you will now be taxed on it. Also, an attorney can’t share his or her attorney’s fees with you. (That practice, we’ll agree, does sound to court frivolous lawsuits. Also, interest doesn’t start until 60 days after an insurer receives a supplemental claim, which means you won’t make as much in interest (and the insurer won’t pay as much) if your claim was justified. You can only bring “notice of a claim” for two years after the damage happened, and anything in an insurance policy restricting the “prompt notice” time further can also apply. So if you found damage down the road, you might be out of luck. Two years might be a stretch to discover damage that you can say for sure was tied to a specific event, but one wonders how low a time limit for notice could be inserted into a policy under this. To even sue an insurer, your notice of action must be in compliance with a lot of paperwork before you can bring action. You’ll need to state specific damages and amounts, attorneys fees, amount for which you’d settle the case, everyone connected with the claim, why the supplemental claim wasn’t mentioned earlier and anything else backing your case up. That’s different than the notice required in other insurance lawsuits.